Ooh Lala look at these stunners! So stylish we are just loving the acrylic trend. Super sleek and one schmick option. Offered in crystal clear or a frosted acrylic and the more recent black! They are ... Read more..
Well... Then there was this. We are lucky enough that our clients trust us to guide them in what will or won't work. When we were asked if we could foil on wood we hadn't even seen it done before, nor ... Read more.. Printed on wood wedding invitations! So good! Oh wow - it's been so long since we wrote a Lilykiss blog. We have been super busy adding so many new designs and so many exciting techniques to the Lilykiss family! 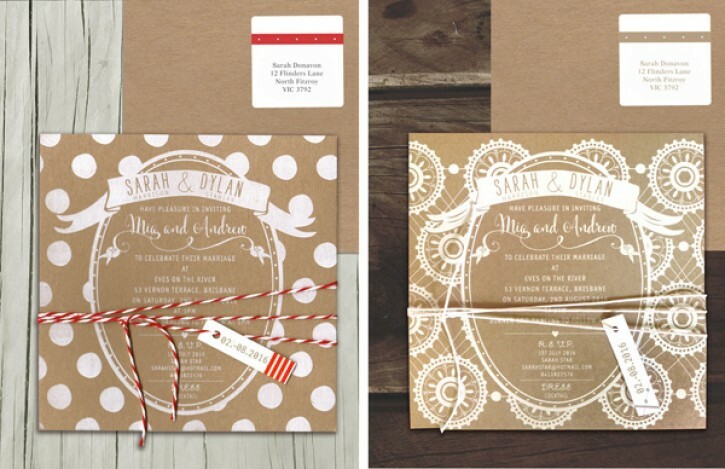 We have been offering the stunning ... Read more..
White ink on kraft rustic love! We have been so busy here at Lilykiss we haven't had time to write of new and exciting things that have been happening! 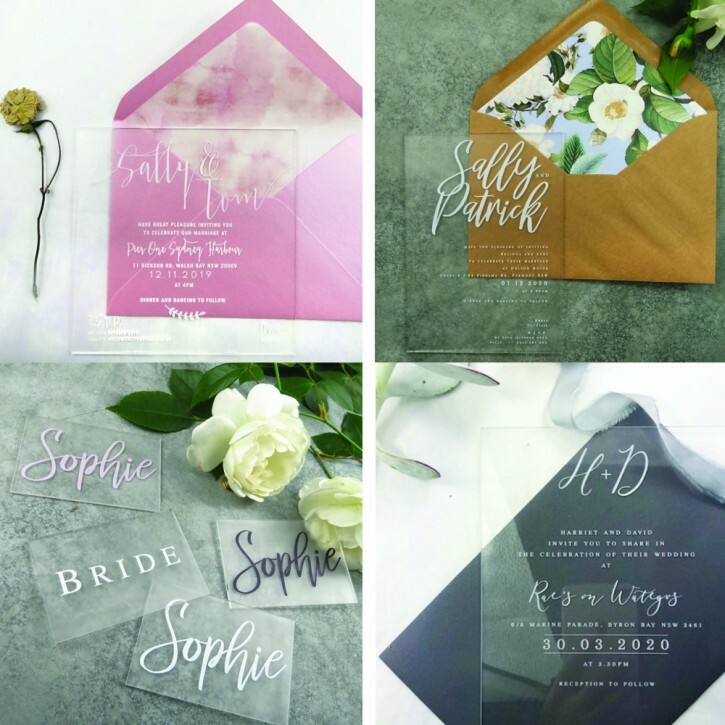 Today we'd like to introduce you to our glorious new designs for our white ink o ... Read more.. Affordable Flat card designs are here! Hello again! We are sorry it's been a while since we updated our blog. Why? We have just been SO busy here in the studio with so, SO many new and incredibly exciting new and beautiful things happening ... Read more..
We are happy to say that we now have new colour palettes for our very sweet design, Flowers at the Fair. This folk styled, gorgeous floral hand painted wedding invitation looks so sweet in t ... Read more..
New white ink printing on kraft board wedding invitations - rustic glam at it's best! It's so fun adding new techniques and card stocks to our range. And we are really excited to bring you our latest creations - which are some funky, gorgeous designs using a stunning technique of opaqu ... Read more..
We have fun doing Jessi's recent wedding invites. We were excited that she had fallen in love with our Aztec hearted design in the recycled kraft, as it is a favourite of ours here in the studio and s ... Read more.. If you are reading this... Then welcome to our new website! We have just launched our new and improved Lilykiss site - so there is much excitement in the studio at the moment. 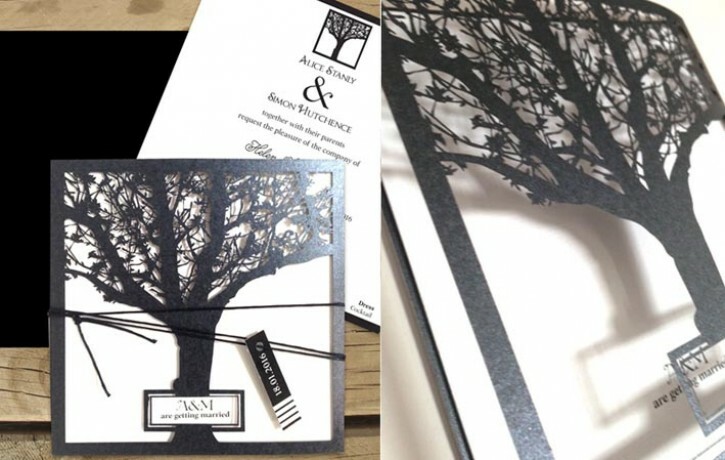 It will mean it's so muc ... Read more..
Our new seriously detailed laser cut wedding invites now up online! 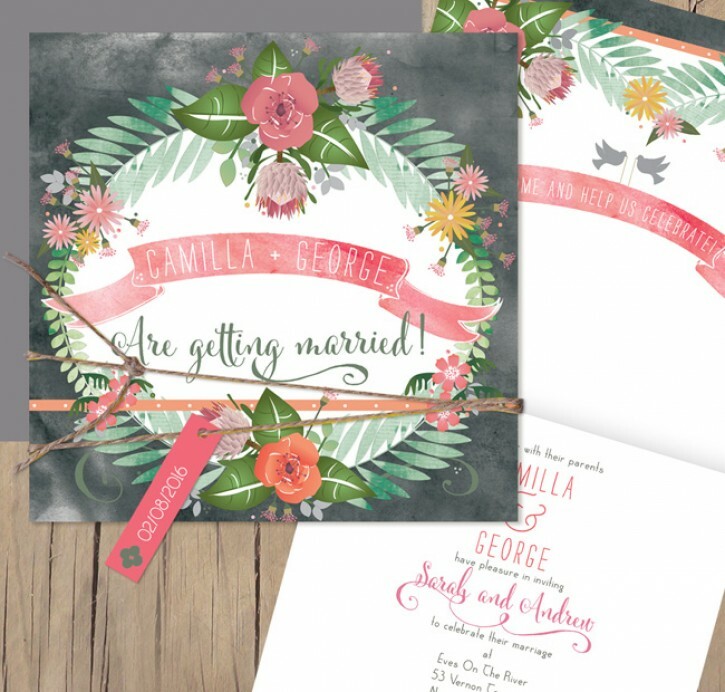 We are so please to be able to finally say that pretty much all of our new gorgeous laser cut wedding invitations are now uploaded onto our new website for you to browse! We now are proud to say we ha ... Read more..
Our new laser cut wedding invitations are up online! Our new lasers - rolling out our lovely tree design! As promised we are still slowly rolling out our beautioful new laser cut wedding invitations. Here we have one we are very excited about - our new tree design. 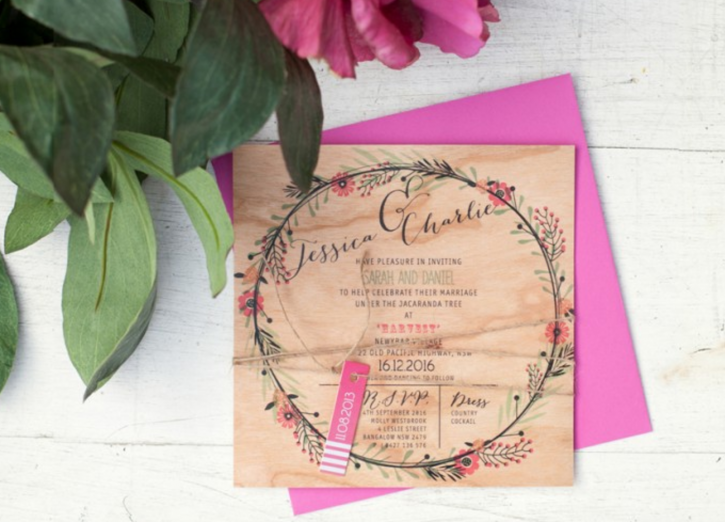 This is one stunning wedding invite. Eve ... Read more..
New laser cut wedding invitations have arrived - excitement! 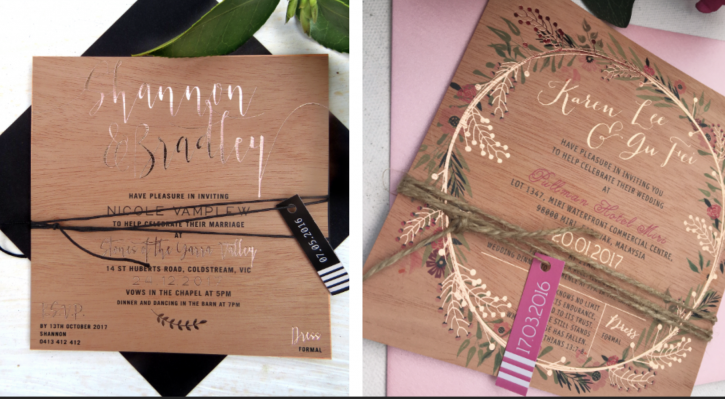 Play with typography for unique wedding invitations! 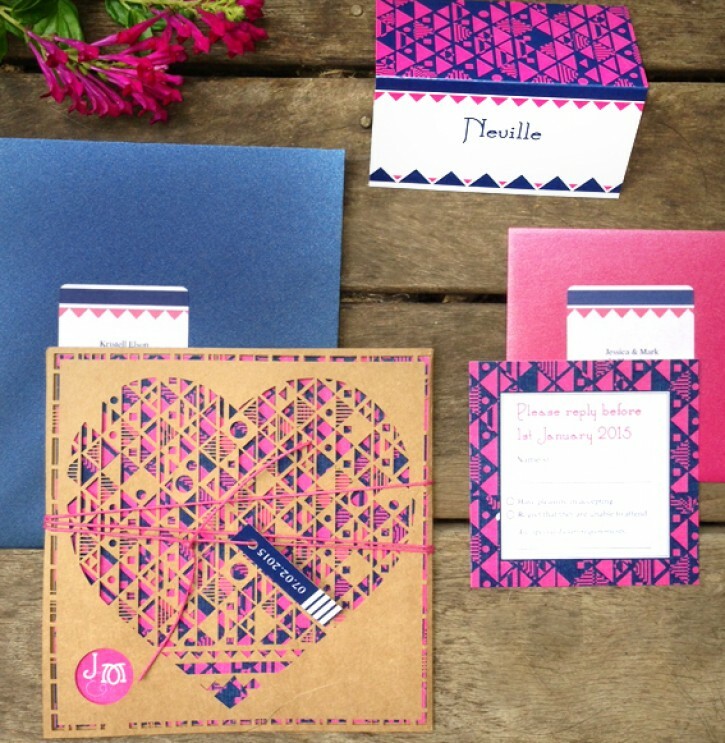 New geometric wedding invite designs are fun and on trend! Boho feather - New wedding invite for the bohemian Bride! Our Laser cut wedding invitations are here! New designs from a trip to India!